I am posting this blog on February 6th. My father was born on this date in 1914, just months before the outbreak of World War I. In many ways the state of the world 100 years ago was not so different from today. Political instability plagued Europe, social change driven by advances in technology was sweeping the world, and yet most people felt a sense of security that the world as they knew it was stable. All of this changed with the assassination of Archduke Franz Ferdinand on 28 June 1914. Within a month, war swept across Europe. War raged for the next four years on a scale never before seen. At its conclusion, many believed that humans would never again engage in such violent and deadly warfare. It was known as the “war to end all wars.” How could people have been so wrong? My father probably never imagined that he would serve in a war more widespread and lethal than World War I. Dad graduated from high school in 1932 at the height of the depression. He eventually found steady employment with the Civilian Conservation Corps, a New Deal work-relief program. Having grown up on a farm, Dad easily settled into the work of building trails, improving parks, and fighting forest fires. But on 7 December 1941, my dad’s world changed with the attack on Pearl Harbor. Within a few months, he was in the Army and training for deployment to the Pacific Theater. From 1944 to 1945, he engaged in 14 months of continuous combat. As a combat medic, he no doubt saw some of the worst of the fighting. 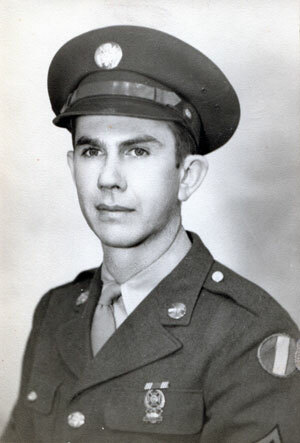 He was awarded the Bronze Star and other decorations, and returned home along with millions of other soldiers. Then a “baby boom” occurred. He did his part, or I would not be writing this. I became a military psychologist by profession. Perhaps my dad’s experiences during World War II provided me with a special interest in the military. Or maybe it was seeing the impact the Vietnam War had on friends a few years ahead of me. I have always been interested in the complicated relationship between psychology and war. I was commissioned in the US Air Force in 1980, served as a behavioral sciences officer, and for the past 16 years have worked for the US Army as a research scientist and West Point professor. For me, the role of psychology in war is fascinating. Looking back to World War I, psychologists played a critical role in developing aptitude tests that could identify special skills that in turn helped the military assign recruits to jobs matched to their abilities. This work was spearheaded by then American Psychological Association president Robert Yerkes, who in the span of a few short months oversaw the development of the Army Alpha and Army Beta tests, forerunners to modern aptitude tests. Psychologists played an even bigger role in World War II. Besides improving selection tests, they began a more systematic study of the psychological casualties of war, often called “combat fatigue.” Psychologists began to understand the impact of trauma and adversity on human adjustment. The rapidly evolving capabilities of aircraft and other military systems drove the development of a new subfield of psychology, now known as human factors engineering or engineering psychology. Historian Alan Beyerchen makes the case that the Cold War (which also involved “hot” conflicts, including Korea and Vietnam) should be viewed as World War III. This era of warfare drove significant developments in psychology, including the emergence of posttraumatic stress disorder as an official psychiatric condition, and computational models of human intelligence. The Global War on Terror, for Beyerchen, represents World War IV. It differs from previous wars in terms of technology, political boundaries, and religious ideology. There are no clear lines of battle. As we learned on 11 September 2001, even the mainland of the world’s most powerful nation is vulnerable to attack. The enemy is not a specific country. Rather, it is a loose network of ideologues spread across continents that pose the greatest threats. There is no clear definition of victory, and no end in sight to this war. Beyerchen argues that psychology is the most critical science to World War IV. Psychologists are needed to prepare combatants for the skills they need to succeed. It is no longer enough for a soldier to possess basic physical fitness and an average intelligence quotient. We must train our soldiers and their leaders to think faster and better than the enemy, to leverage modern technology to maximize success, to fully understand the nuances of cultural forces in war, and to be more resilient in the face of adversity. Strategic military commanders must embrace new leadership skills and philosophies that match the realities of contemporary war. They must lead us to a political and cultural victory, because there is no definable end state that can be achieved through the use of raw firepower alone. As hard as I tried, I could never get Dad to say much about the war. By his account, it was simply a long camping trip with friends. He made it sound like the ultimate “guys” getaway. He never admitted to being in or even seeing combat. It was not until after his death, in 1998, that we discovered his military file with a complete record of his service. I am sure he would maintain that he did nothing special, and that plenty of others did much more, including paying the ultimate sacrifice. In that way, he was like the others in what Tom Brokaw has called the “greatest generation.” In later years, he suffered an episode of major depression. With the perspective of hindsight, I wonder if his combat experiences in World War II contributed to this. We know, based on modern psychiatric practice, that tens of thousands of veterans from Vietnam to Afghanistan suffer combat-stress related disorders, including post-traumatic stress disorder. My dad fought in a world war, and I train and educate future officers to fight in the current war. I wonder what a child born this year, during the centennial observance of the outbreak of World War I, will experience in his or her life. I imagine we all share the hope that the children of today will face a less hostile and warring world than did my father. Psychology will certainly play a significant role in the next 100 years both in preparing for war, and in helping build a culture of peace. Michael D. Matthews is Professor of Engineering Psychology at the United States Military Academy. Collectively, his research interests center on soldier performance in combat and other dangerous contexts. He has authored over 200 scientific papers and is the co-editor of the Oxford Handbook of Military Psychology (Oxford University Press, 2012). Dr. Matthews’ most recent book is Head Strong: How Psychology is Revolutionizing War (Oxford University Press, 2014).